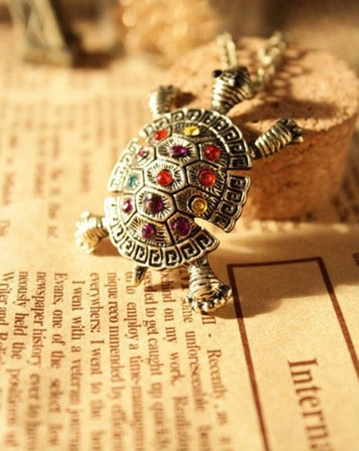 Retro Rhinestone Turtle Necklace Just $1.90 PLUS FREE Shipping! You are here: Home / Great Deals / Amazon Deals / Retro Rhinestone Turtle Necklace Just $1.90 PLUS FREE Shipping! You can get this Retro Rhinestone Turtle necklace for just $1.90 PLUS FREE shipping! What a cute necklace – it would also make a great addition to your gift closet!